Packaging Dimensions 2 in. x 2 in. x 1.5 in. 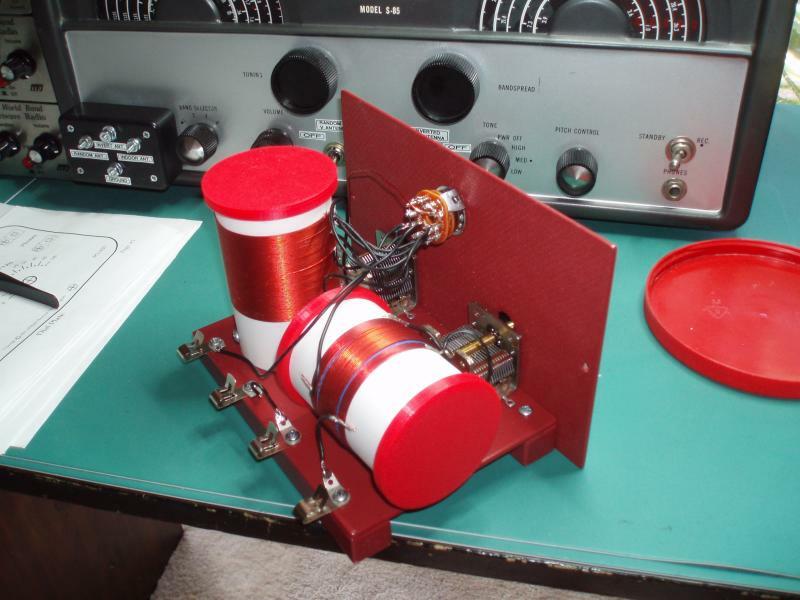 Capacitor - 365pF, Variable, Single Section works super on my crystal radio i build.fantastic company to deal with.excellent service.fast shipping. Item arrived on time and in an excellent condition. Now is working OK in my set and for sure i will use again Antique Electronic Supply. Very good looking/finish/quality, and good price. I think I made a good buy. 5 stars for great service and a great product. These variable caps are high quality and are flawless. Living in the UK Iwas unable to find these components. Excellent service from start to finish ! I ordered two. They appear to be well made, and turn freely. Capacitance change is smooth, no noise. I would have given 5 stars, except they were poorly packed. They were laying loose in the box and up against each other with nothing to separate them at all. A third, larger, air-variable capacitor in the same order was well padded and in a separate inner box, as these should have been. 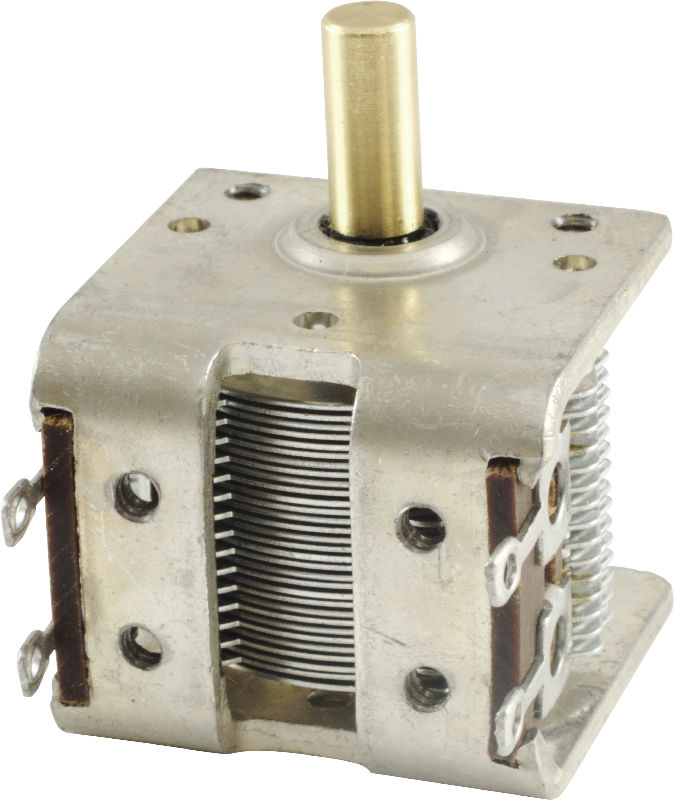 This variable capacitor is of high quality, works flawlessly, and was well protected during shipping. Arrival time was faster than USPS estimated. Very satisfied! Have not used products yet but got to say shipping is great ordered on Monday received on Thursday !! 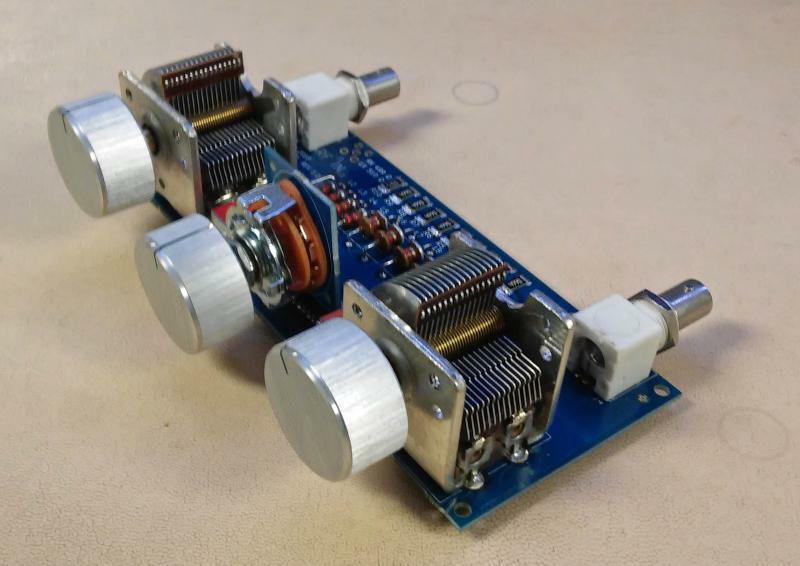 Uhm, I would NOT use this for making an antenna tuner for a high powered linear RF amp, but it does work nicely for 200 Watts or less, preferably 100 watts barefoot. KI7AQJ ham radio, luthrie & custom guitar, bass, keyboard, acoustic guitar & hi fi amps. I can get my ATAS 1200 antenna working down on 80 meters using this, and that is at best a 40 meter antenna. That is awesome!!! 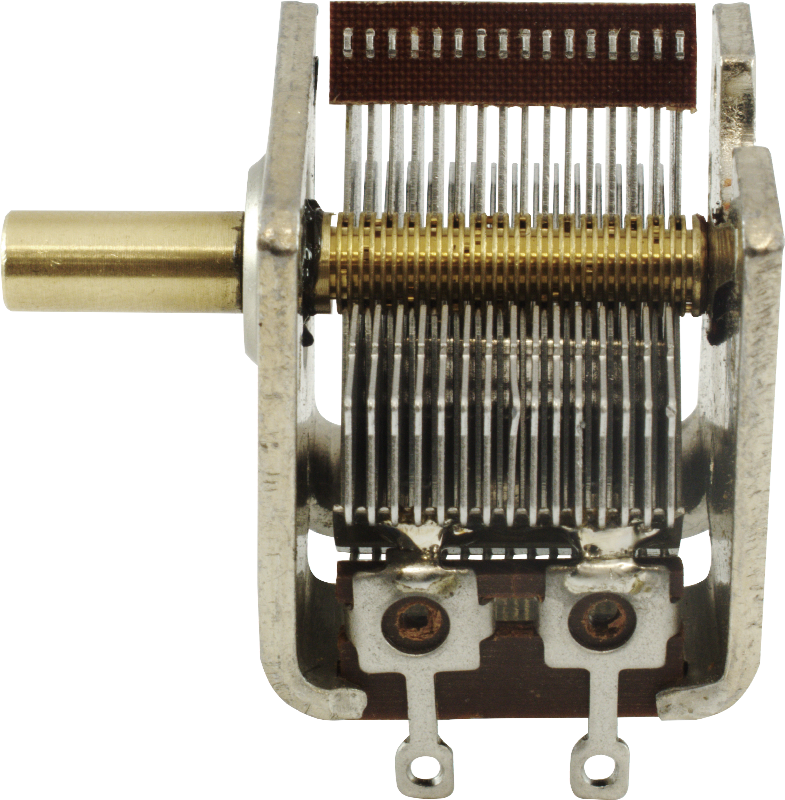 Oh, and NEVER use anything like this with a loop antenna. 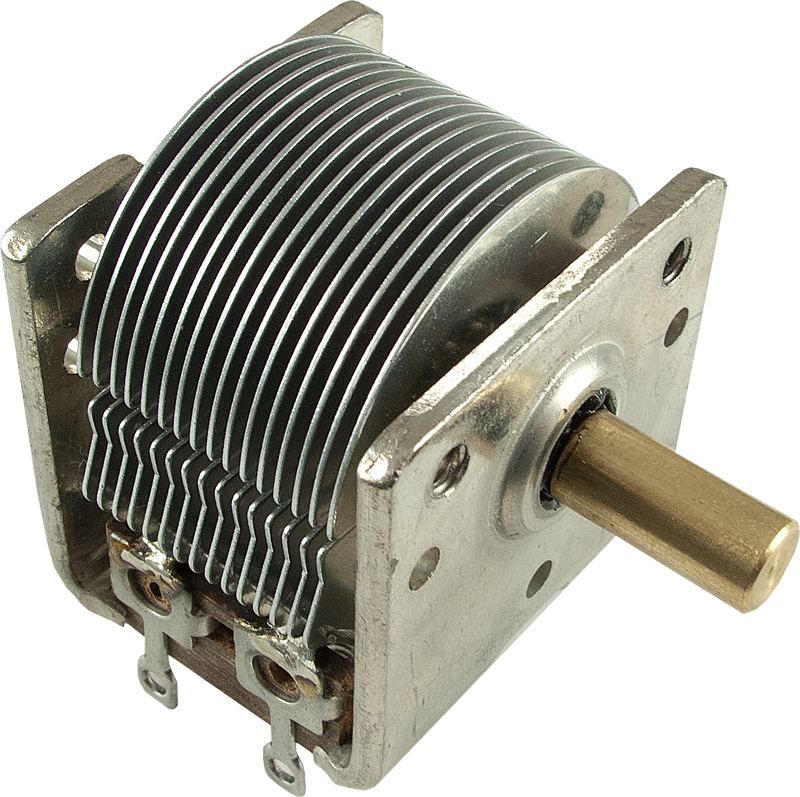 Those can spike into the 1000s of volts, and you should use a 6KV vacuum capacitor with a loop antenna, unless you are running QRP. (less than 5 watts) Breakdown in air should be maybe a couple hundred volts. You could try to buy some mica and cut it to fit in the air gaps. The maximum voltage is 350Vrms according to the information above. Asked by Anonymous on December 15th, 2016. Hi, this is a surplus item and we do not have any specs on this cap other than what is provided above. Asked by Anonymous on October 22nd, 2015. We do have a catalog. You can request one by clicking on the "customer service" tab and then the "catalog request" tab. You will then need to enter your information and we can get one out on our next bulk mailing. Asked by Anonymous on December 3rd, 2015. Any knob designed for a 1/4" solid shaft that uses a set screw should work. Asked by Anonymous on December 17th, 2016. Hi, this is a surplus item and we do not have any specs on this capacitor other than what is provided above. Asked by Anonymous on January 18th, 2017. Hi, according to the info above the minimum capacitance per section is 14.9pF. This would be an acceptable choice for a crystal radio. Yes we will ship to Spain and this is the same one as in the photo. 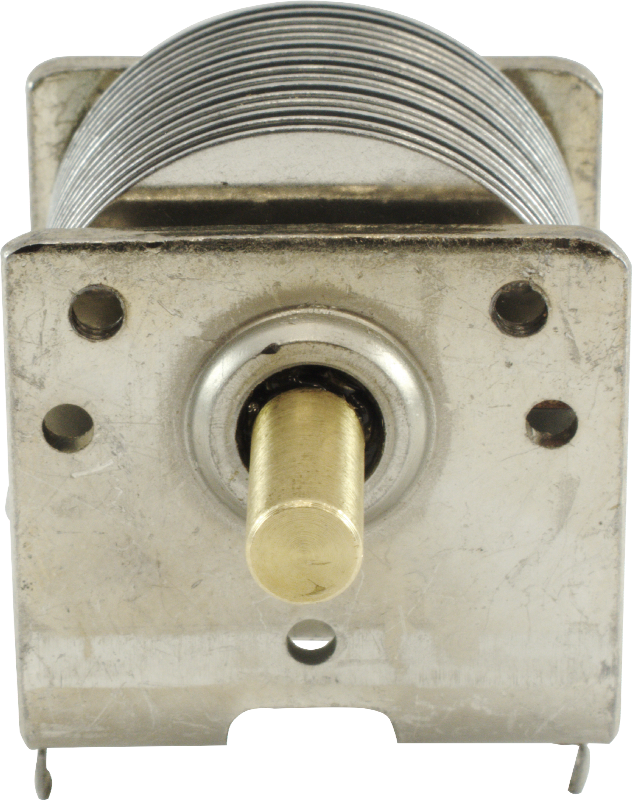 Hello, the air gap is 0.010 inches wide from plate to plate. We do not carry such faceplates at this time. Unfortunately, we do not have a recommendation on a source for that item. Asked by Anonymous on March 19th, 2019.